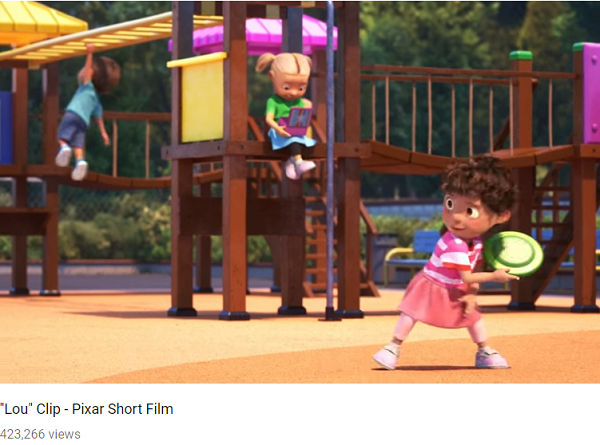 This Disney-Pixar film was Oscar-nominated (2018) in the Animated Short Film category. Blink and you might miss the scene where a schoolgirl tosses a green Frisbee. Info: When a toy-stealing bully ruins recess for a playground full of kids, only one thing stands in his way – the Lost & fOUnd ("LOU").